Keep your home or office perfectly organised with a handy labelling machine from Currys PC World. Our range of Brother labelling machines delivers an array of useful features and swift, cost effective performance that’ll soon have you labelling everything you can get your hands on! 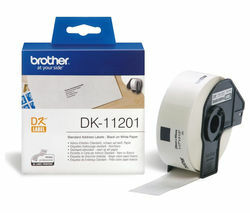 The fantastic Brother Ql-570 Label Maker uses direct thermal print technology, eliminating the need for toner, ink and ribbons and allowing you to print high quality labels for letters, boxes, packages, CDs and more without worrying about spiralling costs. Other labelling machines in our range offer handy features like wireless connectivity – allowing you to effortlessly connect your labelling machine to a PC or wireless devices like smartphones. If you prefer the convenience of a standalone labelling machine with a built in QWERTY keyboard and an LCD display to preview and edit your label designs, look no further than the brilliant Brother PT-80 Hand-held Label Maker. Our labelling machines give you the flexibility to select from a range of label sizes and deliver rapid printing performance that will make quick work of the tallest labelling task. 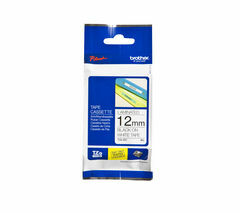 Check out our full range of office supplies to find Brother-compatible label tape cassette and peruse a host of handy office must-haves.